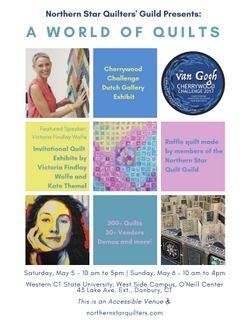 Stop by the Comfort Quilt Display at our Show. There continues to be a demand for our Comfort Quilts and those that receive them are very appreciative. Are you able to contribute to this cause? 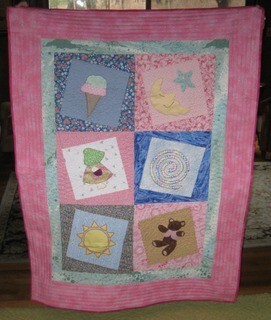 A quick easy way to make a quilt is by using one of the kits that Kathy Keane brings to every Guild meeting. Besides the pattern, the fabric is already cut and ready to use. There are no time requirements. Whenever you can get it finished, there is a child or adult suffering a life threatening illness, severe trauma or other dire circumstances who could use some comfort. Thanks also to all those who returned their raffle stubs and money to support this year’s charity Emergency Shelter Partnership. You can still turn in your money and tickets at the April Guild Meeting or at the Quilt Show. The drawing will take place at the May Guild Meeting. 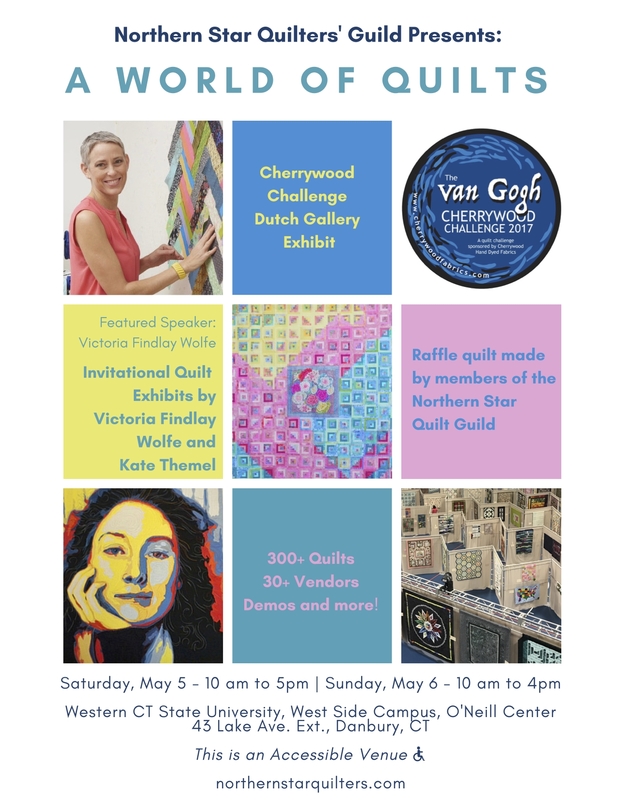 See a sampling at the Quilt Show of the many beautiful and colorful Comfort Quilts that are donated to give comfort to those in need. Thanks to all who made quilts or donated fabric to make these outstanding quilts. Volunteer to be Raffle Coordinator and use your quilting talents to support a worthy charity. If you or a group of friends are interested in overseeing the construction of this raffle quilt or have any questions, contact althea nolan, charitable@northernstarquilters.com for details. Members whose last names begin with S,T please bring snacks. There will be a raffle, so be sure to get your free ticket when you deliver your snack. Thank you! ONE SPOT LEFT IN CLASS! -Get your Silent Auction donation to JoAnne Hochstein, silentauction@northernstarquilters.com. At the April meeting we will again be accepting gently used magazines and books to sell at the Quilt Show. When donating magazines please remember to remove your address label and group magazines by title. Bag securely and drop off at the library table. Members can also bring books/magazines to the quilt show. Contact Narci Medina, library@northernstarquilters.com with questions or to help. -1951 Singer Featherweight, $200 with case and accessories. 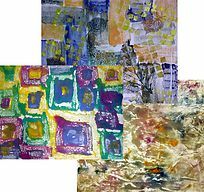 Improv SIG ….Join us for a demo in which Cheryl Kosarek will show us improv curved piecing. And as a added bonus, we’ll learn how to do a black fabric sketch inspired by words and letters. LongArm SIG…. will meet on April 7th at Helen May’s home. The May meeting will be on May 12th at Kathy Vanacoro’s home. EQ SIG …..will meet at 5:45 at the back of the cafeteria. Landscape SIG…. The next meeting will be on Saturday April 21st from 1pm to 3pm at the FABRIC MART quilt shop in Yorktown. Art SIG … We will meet at 5:45 before the guild meeting in the teacher’s lounge. Please bring your mini challenge experiments using man-made objects. They do not need to be finished pieces.